Elephant shopping Centre traders and local campaigners have taken the first step of a legal challenge to Southwark Council’s resolution to approve the shopping centre planning application, while also objecting to the small size of a proposed temporary facility for the traders’ relocation during the 5 years it would take to redevelop the centre. The Public Interest Unit (PIU) of Lambeth Law Centre has written to Southwark, asking it to rescind the decision taken by the planning committee on 3 July 2018, or return the application to the committee. If the Council fails to do this an application will be made to the Planning Court to quash the decision. The PIU is acting on behalf of a representative of the campaign groups Up the Elephant and Southwark Defend Council Housing. The campaign is supported by Southwark Law Centre and Latin Elephant. Barrister Sarah Sackman of Francis Taylor Building has agreed to represent the campaign. The seven page pre-action letter gives two grounds for rescinding the permission. The first ground is that the planning committee was misled about public funding for the social housing in the scheme. The committee depended on an officer’s report in making its decision and this led it to believe that funding from the Greater London Authority (GLA), was secured for an increase of social rented housing, when this was not the case. 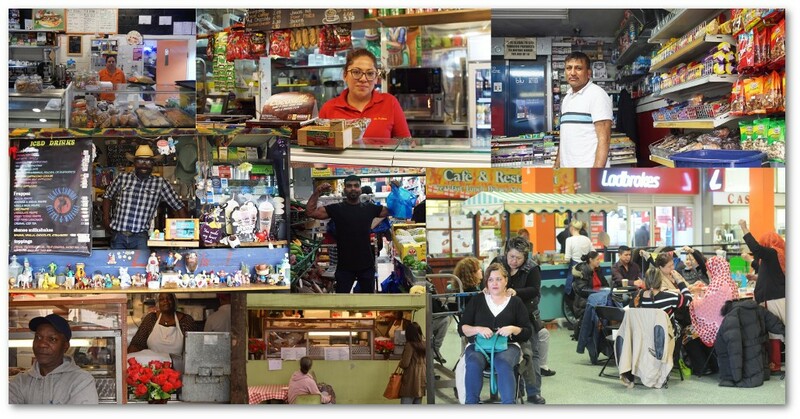 The second ground is that Southwark had not fulfilled its publIc sector equality duty (PSED) properly, neglecting the collective impact on the Latin American community across London, for whom the centre is a social and economic hub. Southwark had also not taken into account the impact on women business owners from black and ethnic minority backgrounds or on particular Latin American nationalities, such as Colombians, despite the detailed objections of Latin Elephant and Southwark Law Centre. The pre-action letter gives a deadline for reply of 24 Oct 2018 and this is still awaited. Aside from the legal challange, the Mayor Sadiq Khan will also be having his say, once the draft legal S106 agreement that would seal the planning approval is complete. Campaigners have written an open letter, asking him to reject the approval as it stands. Local ward councillors added their voice to the call, as did Assembly Member Sian Berry. Local Assembly Member Florence Eshalomi, on the question of traders, says “we cannot have these cultural communities being displaced.” Inside Housing reports that Sadiq Khan is keen to ensure that the development ‘delivers as much genuinely affordable housing as possible’. As well as contending with the consequences of any legal challenge or a call-in from the Mayor, developers Delancey must also provide a temporary facility for displaced independent traders, as a condition of planning approval for the shopping centre redevelopment. 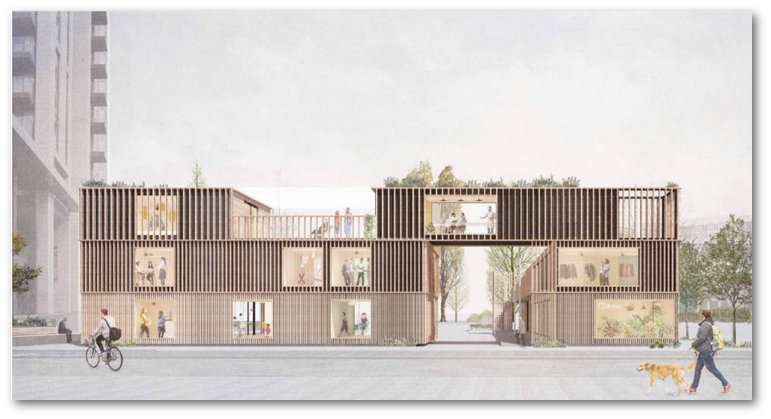 Delancey have had to make another planning application to do this and propose a 2/3 storey building on the Castle Square market place, on their adjoining development Elephant One. Castle Square is on land owned by Southwark Council, but currently leased to Delancy on a peppercorn rent and a share of the revenue from the Square’s future street market. The shopping centre planning condition implies that Delancey will now be buying that land from Southwark. The Castle Square facility would last for 5 years, until the Elephant & Castle Shopping Centre development has been completed. Traders would then have the first right of refusal back into the shopping centre. The facility is a valuable gain for the traders, won by their campaign for a fair deal. Latin Elephant and the Elephant Traders welcome the concession, but have also objected that the proposed building is too small and would have trading restrictions that would make it an impractical premises for many of the displaced businesses. Delancey’s proposals mention 33 independent traders, while the trader’s own estimate is that there is a need to provide for over 100 traders. There are also many other issues, including the level of rents and service charges, the security of tenacy arrangements, selection criteria and disability access. Delancey have agreed to the establishment of a Traders Panel and traders want these issues, and the size of the relocation fund (currently at an insufficient £634,700) to be decided by the Panel, but trader representations on the remit and format of the Panel have gone unanswered, leaving them fearful about the make-up of the Panel and how it might deal with these issues. Delancey only secured a resolution to approve their shopping centre application after three planning committee meetings. It must now get a further planning permission for the trader’s temporary facility on Castle Square, before they can undertake any shopping centre redevelopment. We must ensure that the traders get the best possible deal, whatever happens; they need the temporary facility, but it must be better; if you would like to help achieve this, please submit an objection using our online web form.